Since 2013, acclaimed Sydney-based photographer Robyn Stacey has been transforming entire rooms into walk-in camera obscuras. Masking windows to leave just a ray of light, the view outside is projected, as if by magic, over the room’s interiors, but upside down and in reverse. This dream-like moving scene does the opposite of a shadow. It casts trees, drifting clouds, even towering buildings, over the internal architecture and its inhabitant’s belongings. PR Info _ Since 2013, acclaimed Sydney-based photographer Robyn Stacey has been transforming entire rooms into walk-in camera obscuras. 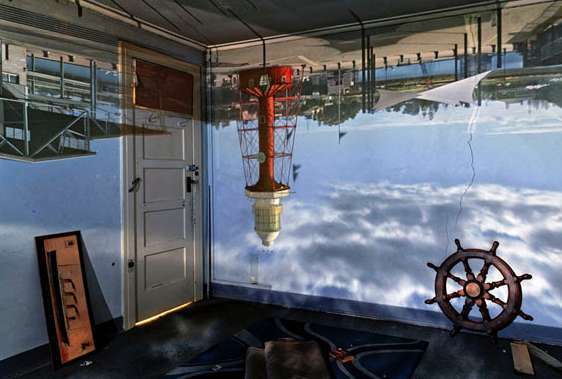 Masking windows to leave just a ray of light, the view outside is projected, as if by magic, over the room’s interiors, but upside down and in reverse. This dream-like moving scene does the opposite of a shadow. It casts trees, drifting clouds, even towering buildings, over the internal architecture and its inhabitant’s belongings. “It’s like being in your own private movie”, says Stacey, who photographs this inside-outside union in the fleeting minutes when light and composition are just right. 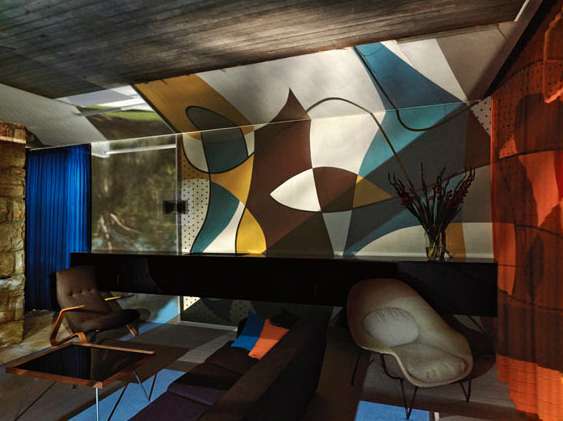 Notable artist studios and residences provide the sites for this new series, which features Rose Seidler House in Sydney, built by architect Harry Seidler, Hans Heysen’s painting studio in Adelaide, Wendy Whiteley’s home at Lavender Bay and Yvonne and Arthur Boyd’s residence at Bundanon. Stacey’s imagination was piqued by spaces that felt potent, imbued by a person’s presence and unique creative identity. Her photographs, in this sense, are like intimate yet unconventional portraits of Australia’s most esteemed creators; their personas expressed by their private surroundings rather than their faces. Offering a rare glimpse into the working havens of artists—those otherwise mysterious spaces from which inspiration seems to miraculously emerge—with these images we also view the world beyond to which they may have gazed in quiet moments of reflection.